People all over the world respect our president and our FLOTUS, and people right here in our own country disrespect them so badly. 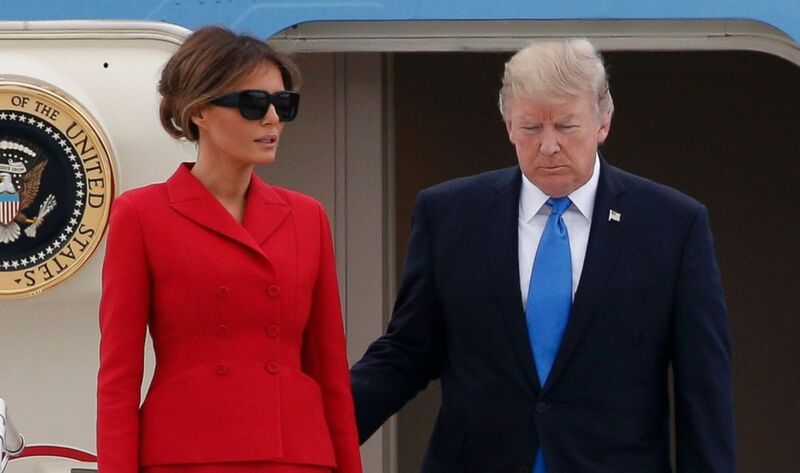 When Donald and Melania arrived in Paris today Melania once again showed her class that was appreciated by the French media! By now we figure it out that the media is the enemy of Trump and his family. If there was something bad about them no matter true or false, the mainstream media would be all over it. But they won’t report the good deeds Trump and his family are doing! Luckily, we are here to inform you that First Lady Melania made a stunning appearance today in Paris! Melania Trump may be an American in Paris, but she’s taking the cultural diplomacy part of the quick trip serious, as evidenced by her travel wardrobe. 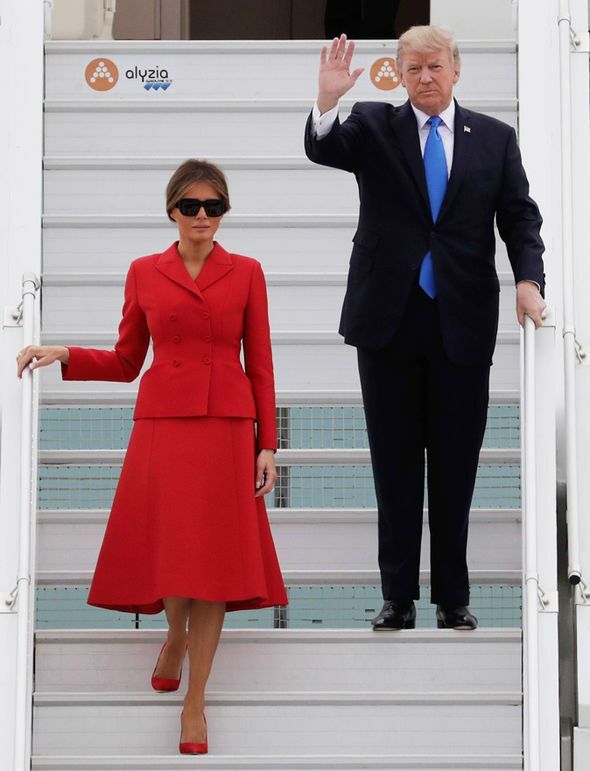 Walking off Air Force One early Thursday, it was obvious her bright red Dior skirt suit was a nod to the country and one of their most famous exports: fashion. And it’s equally obvious that Trump has been keeping up with her fashion history. She wore a smart red suit and black sunglasses, channeling former First Lady Jacqueline Kennedy Onassis’s famed fabulous style. The Trumps have arrived in Paris to watch the country’s Bastille Day celebrations. It has been noted President Trump has a strained relationship with Emmanuel Macron after The White House heaped praise on opposition Marine Le Pen. Bless our First Lady! What a refreshing change it is from the money grubbing, selfish, whining embarrassment we endured the previous eight years! She doesn’t need the limelight …we know she has a good loving heart and she has the class that we needed back in the White House. What class the first lady has. Who needs those other fashion designers I would buy the clothes she wear in a heart beat. Nice to finally have a first lady with style. Not like michelle with no class.